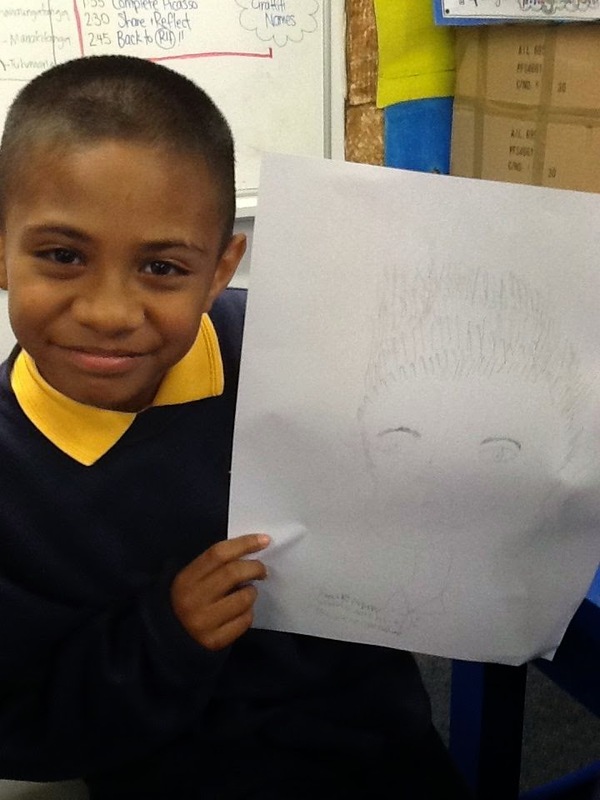 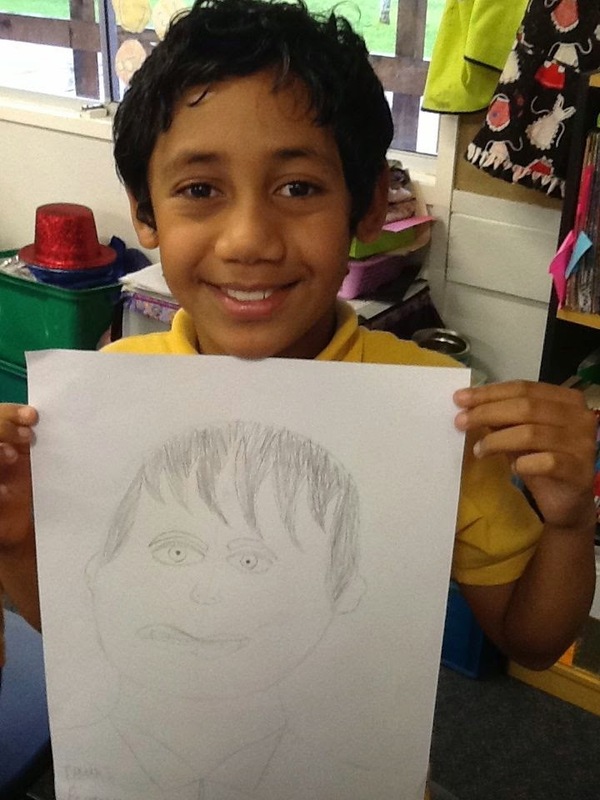 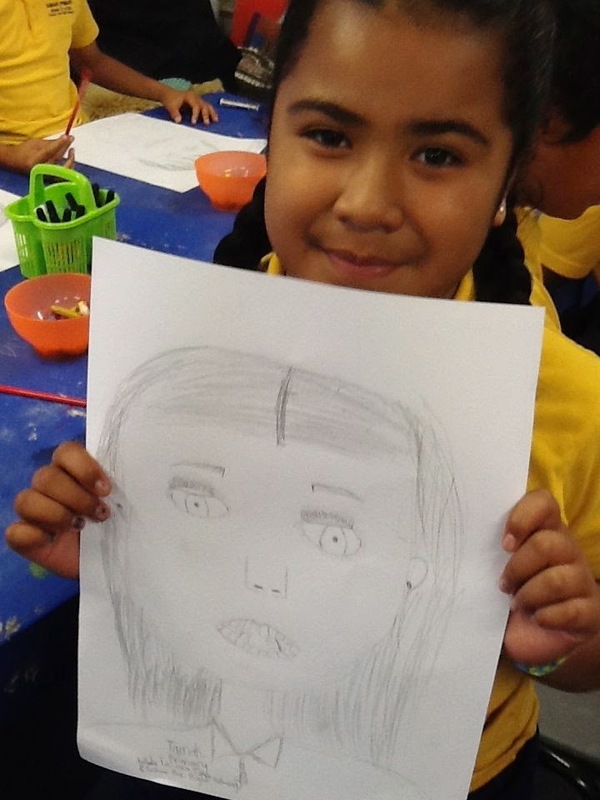 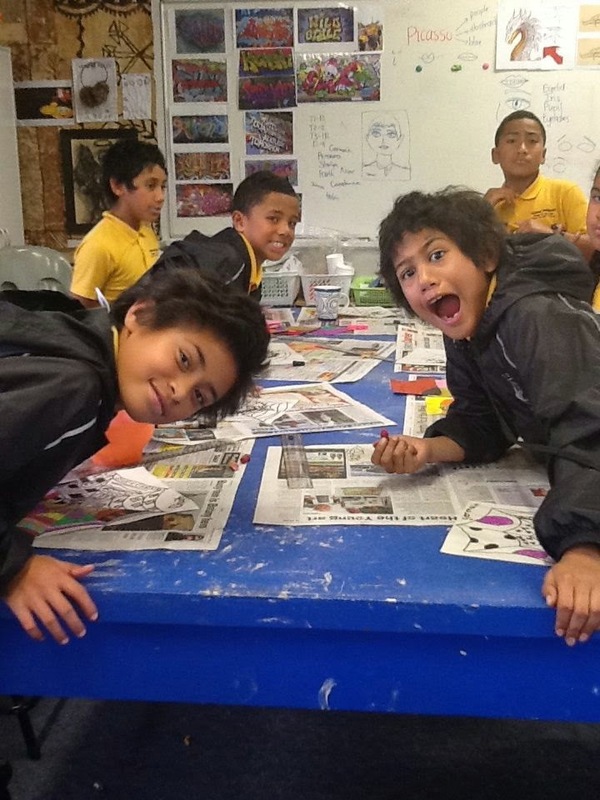 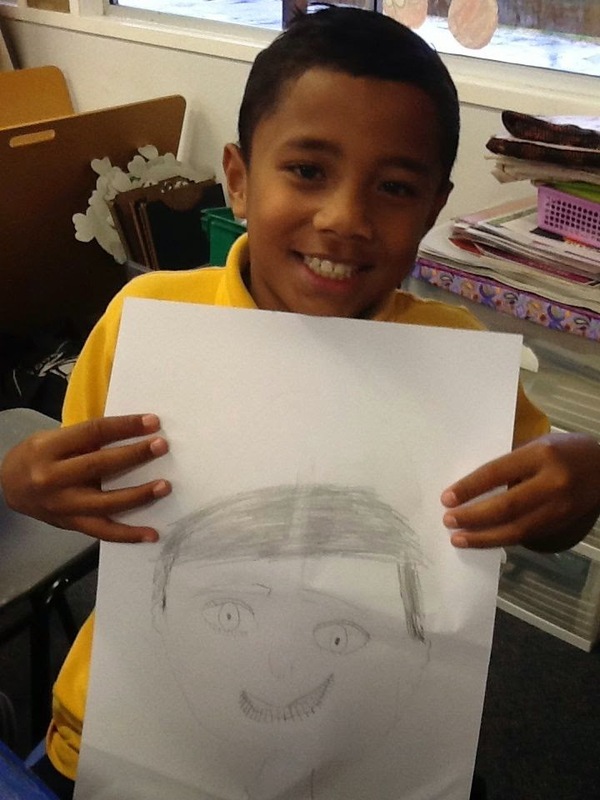 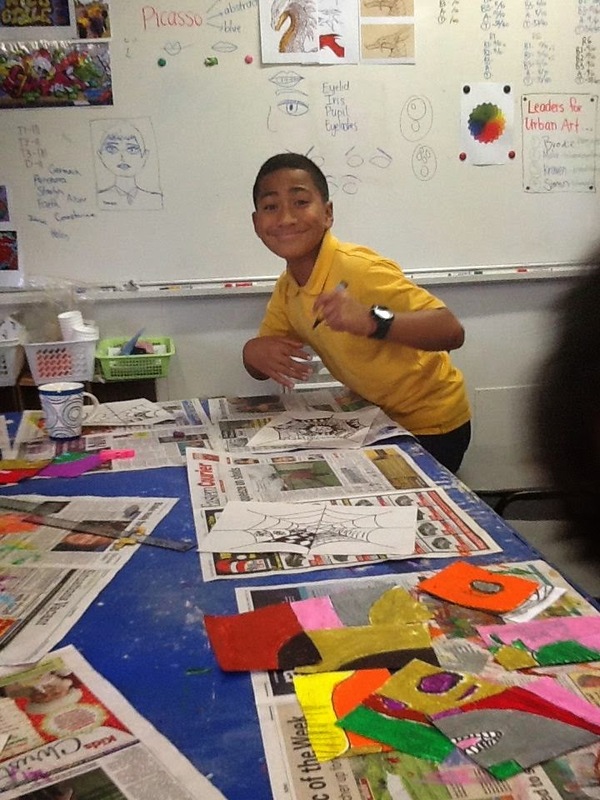 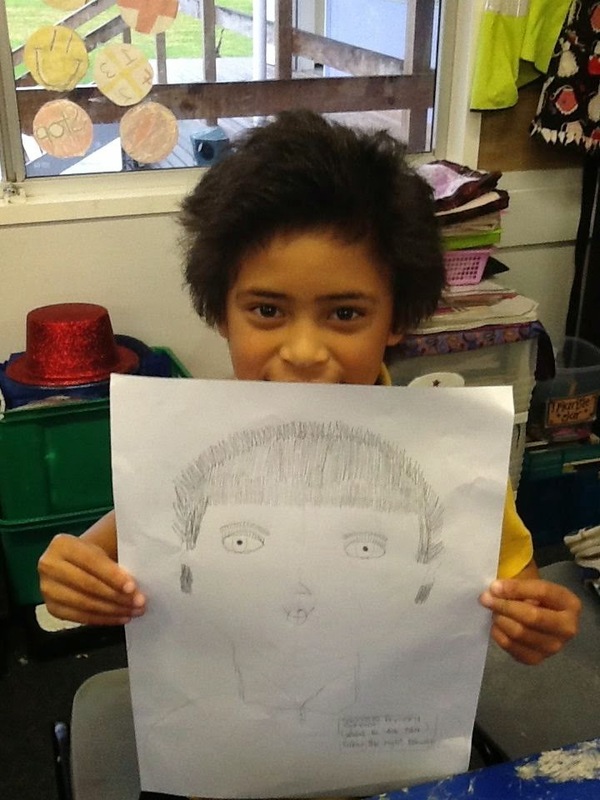 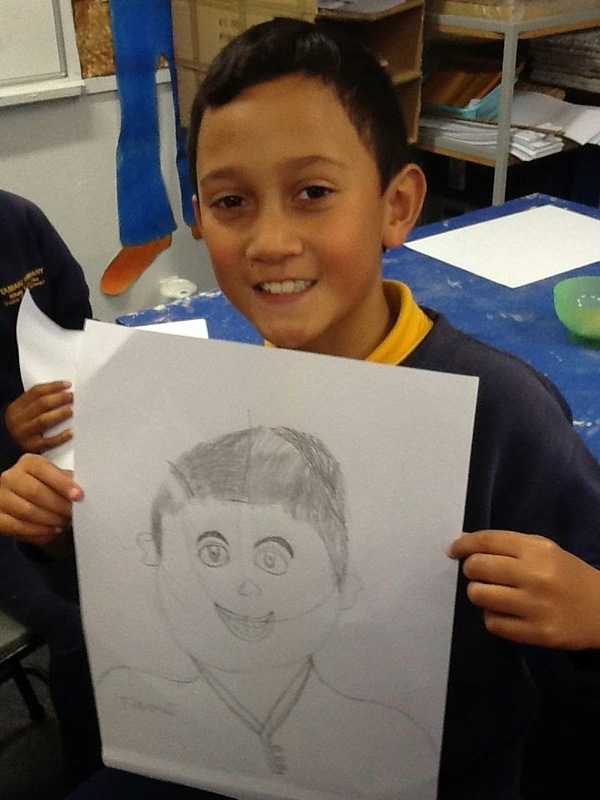 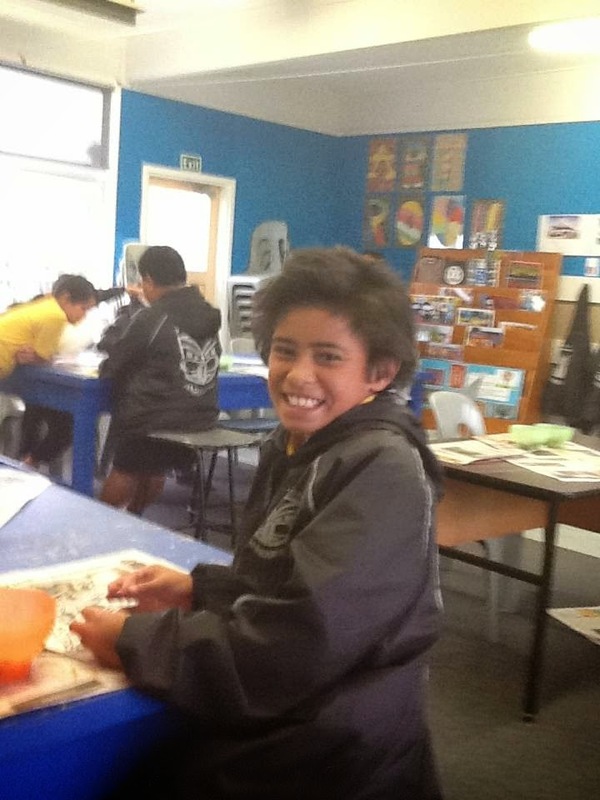 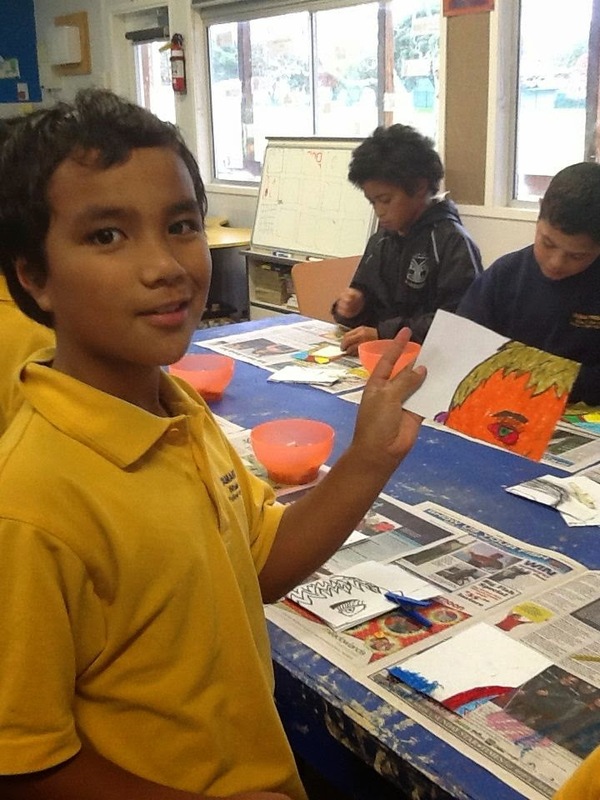 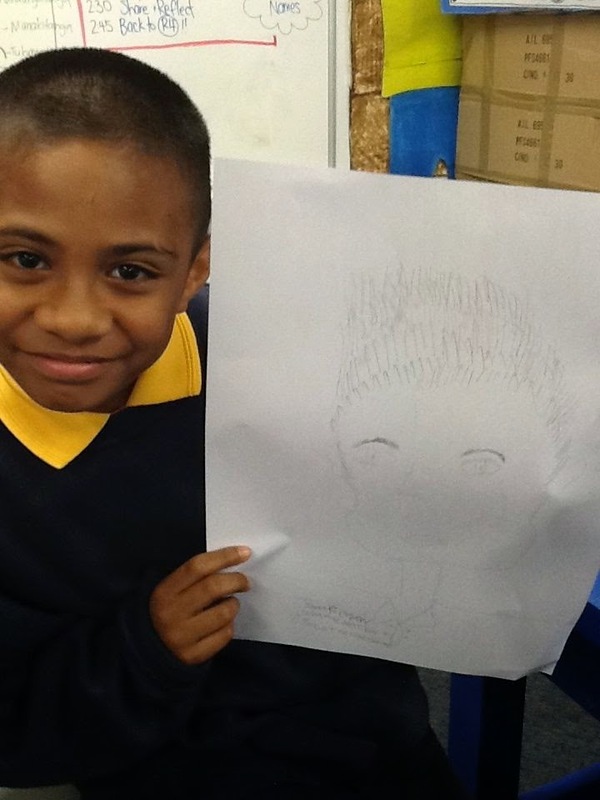 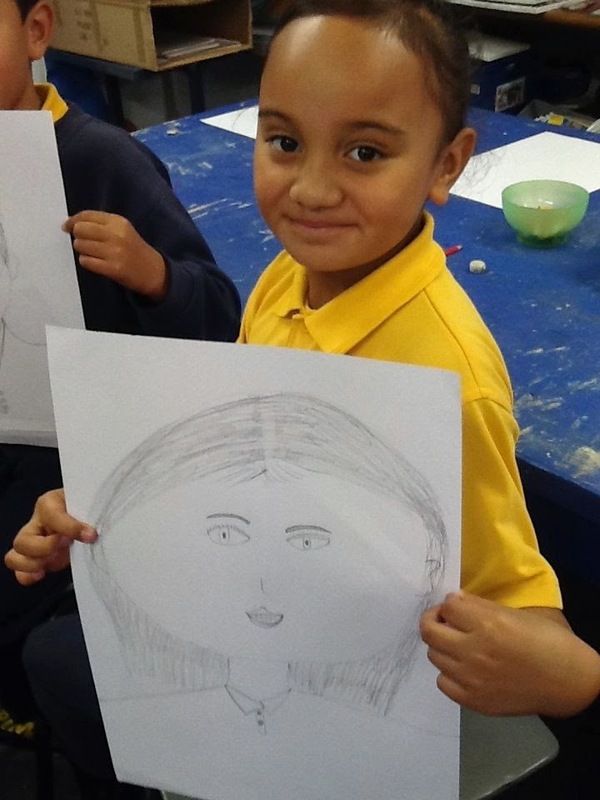 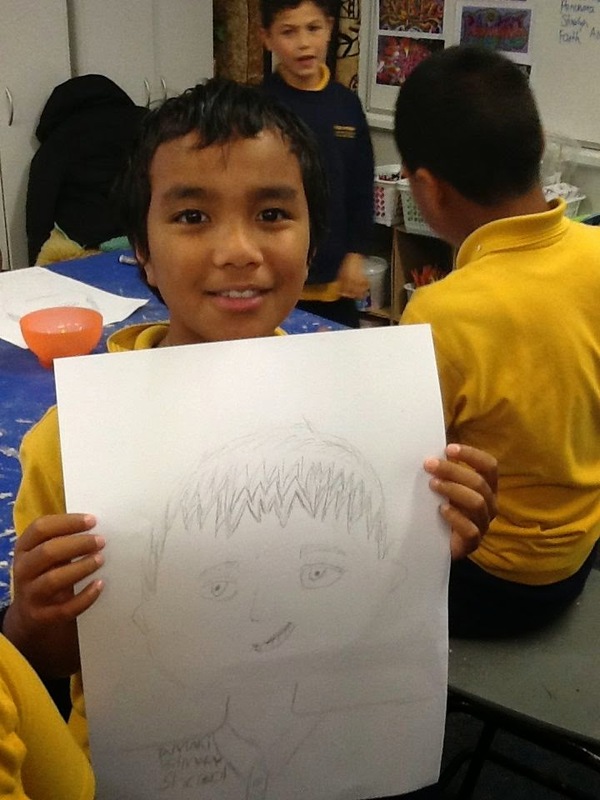 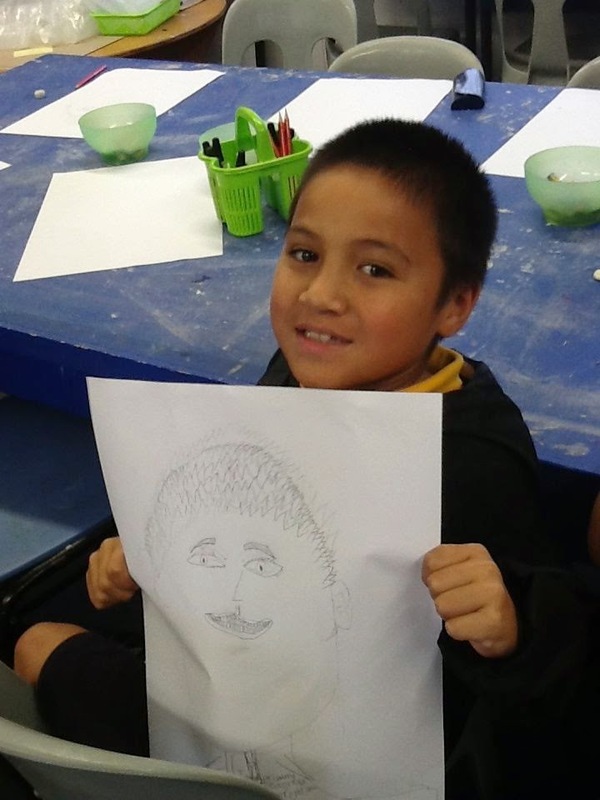 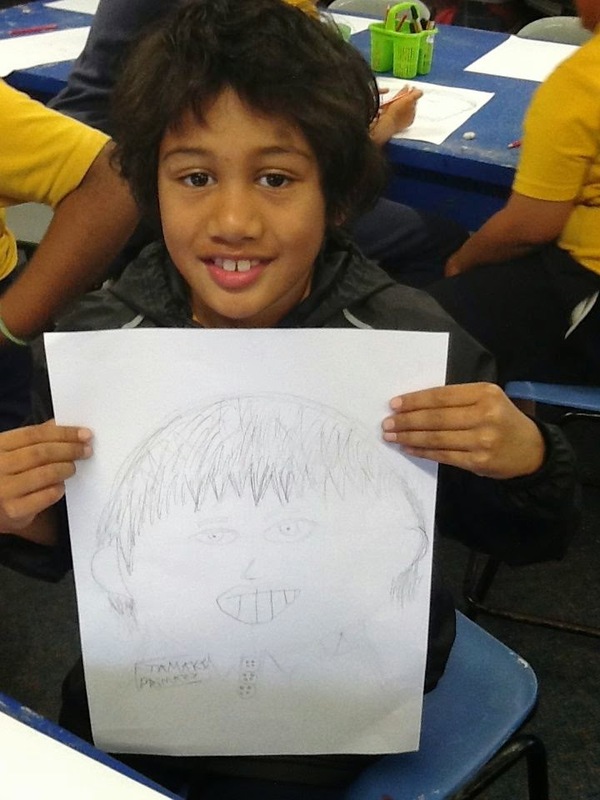 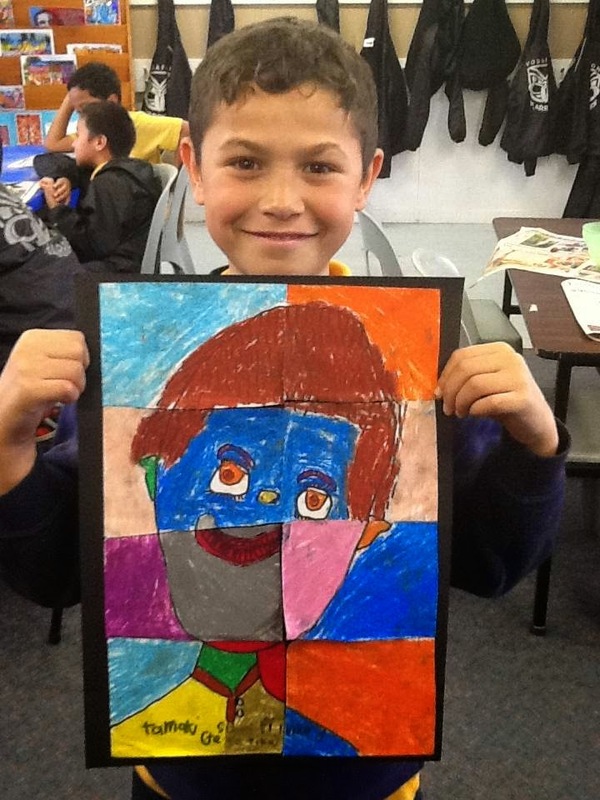 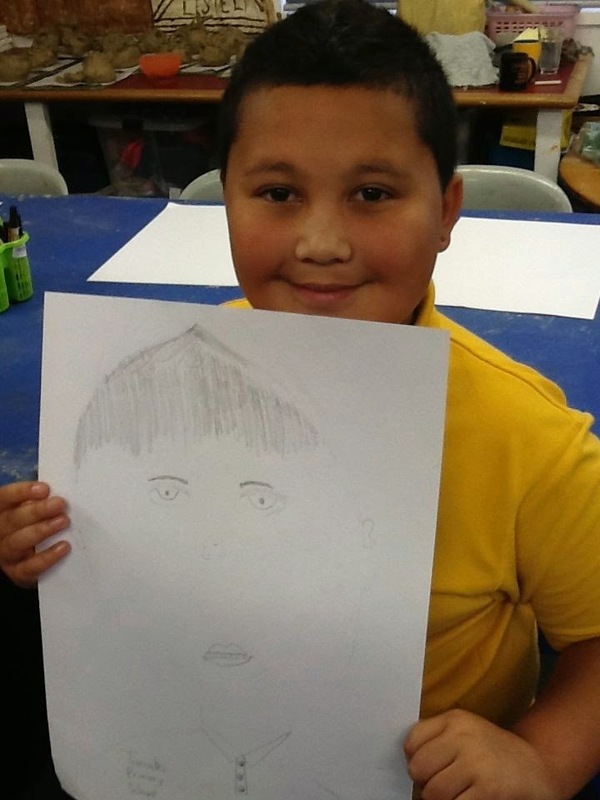 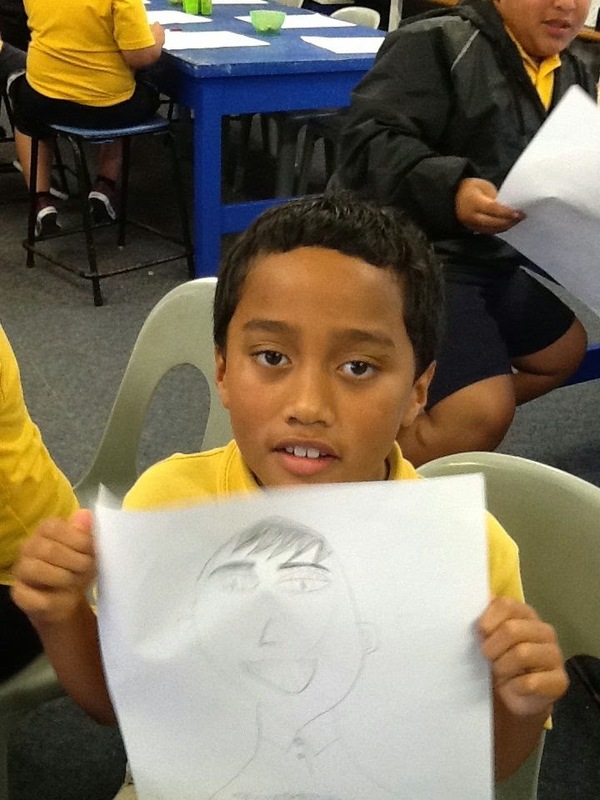 Tamaki Primary School Art: Term 2, Room 4 - Picasso is in the House! 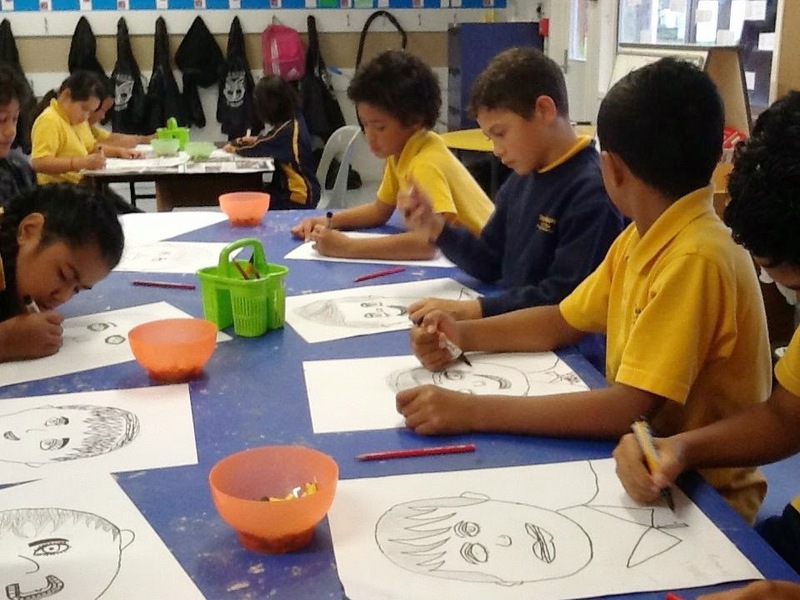 Term 2, Room 4 - Picasso is in the House! 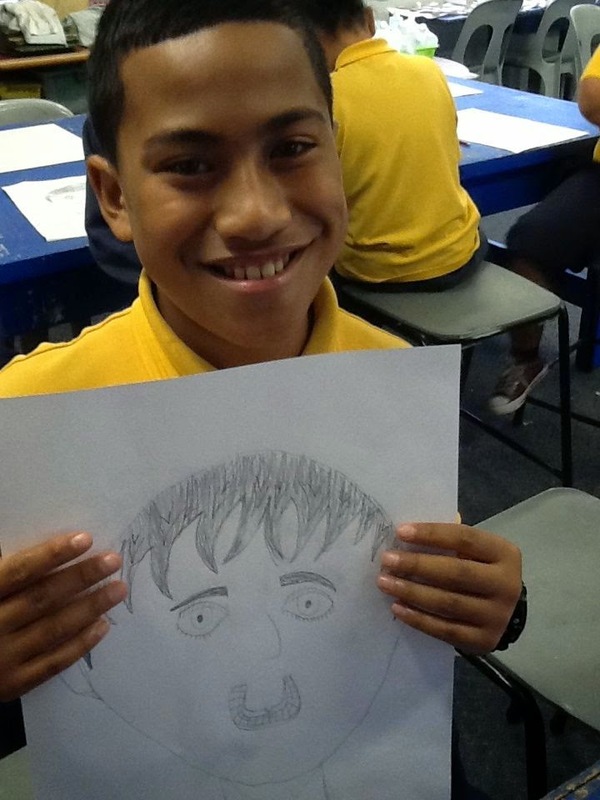 Picasso is in the house! 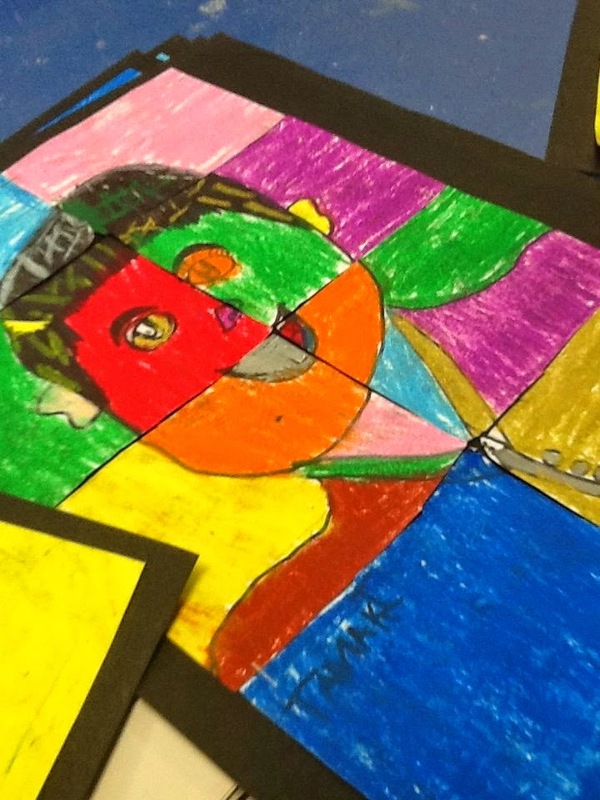 Today instead of learning about a new art media, we learned about a famous artist - Picasso. 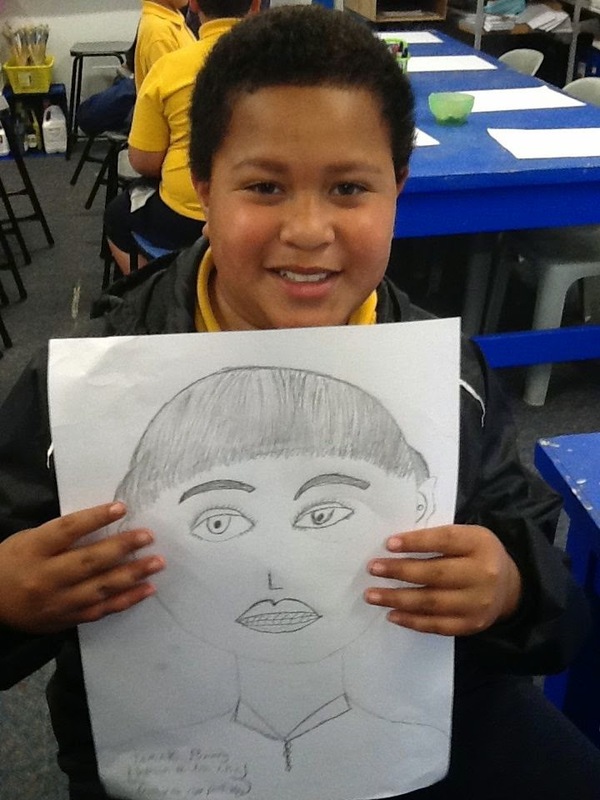 It was really interested learning about how he did his art, and the things that interested him. 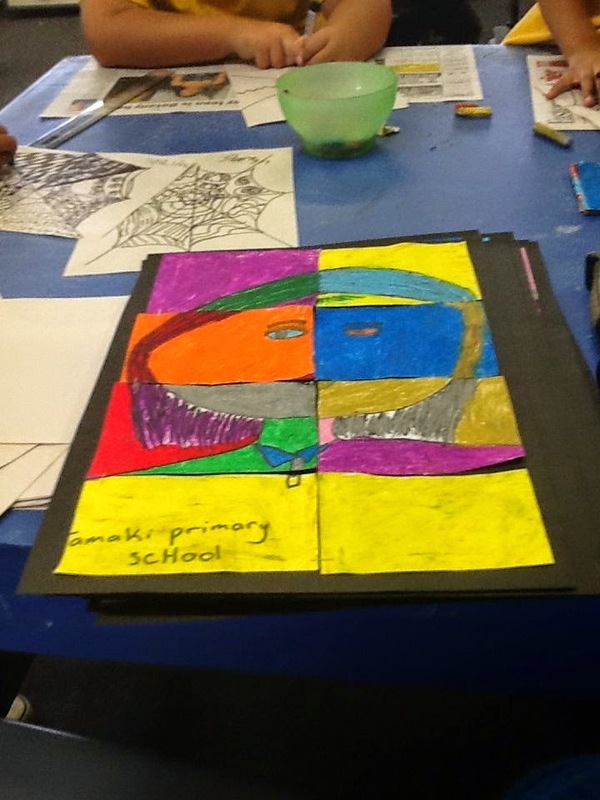 We were surprised to find out that he loved using lots of colour in his art - just like us! 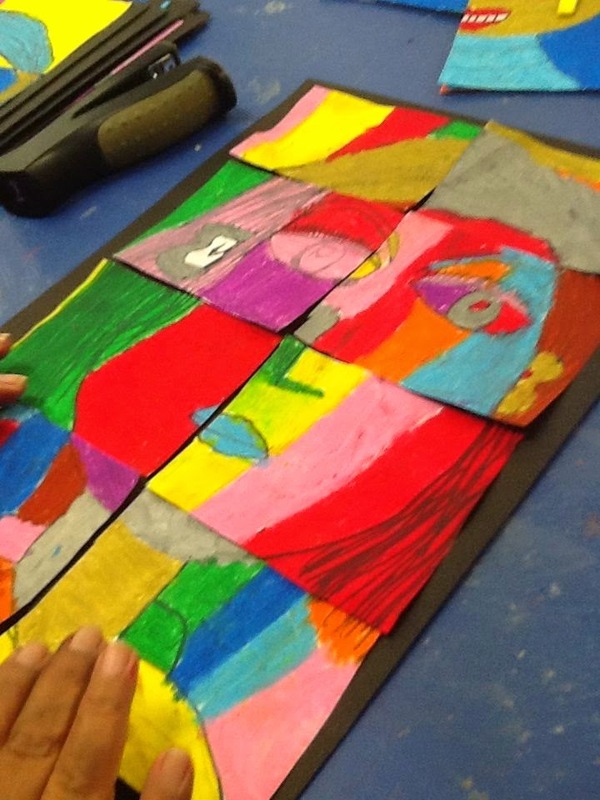 vivid, before cutting up our art into 8 pieces - this was a lot of fun! 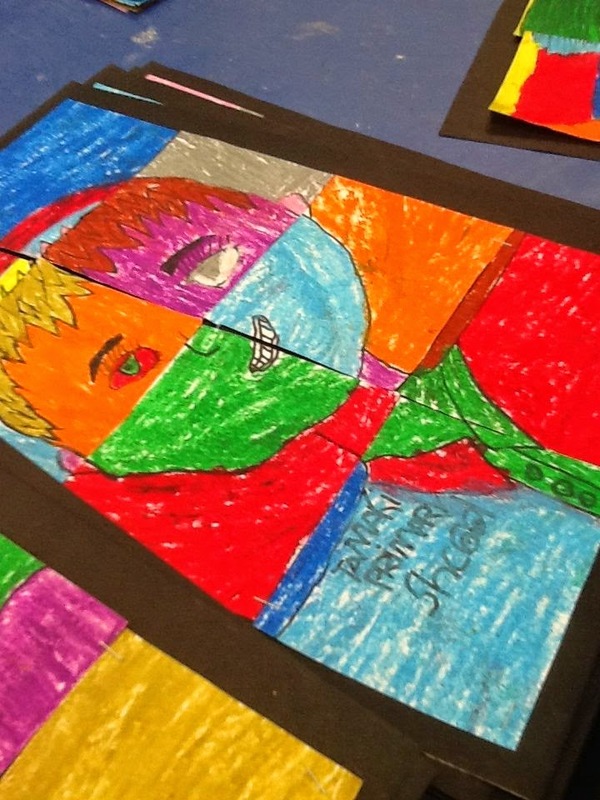 really funny putting the artwork together and laughing at how we looked in multi-colour! 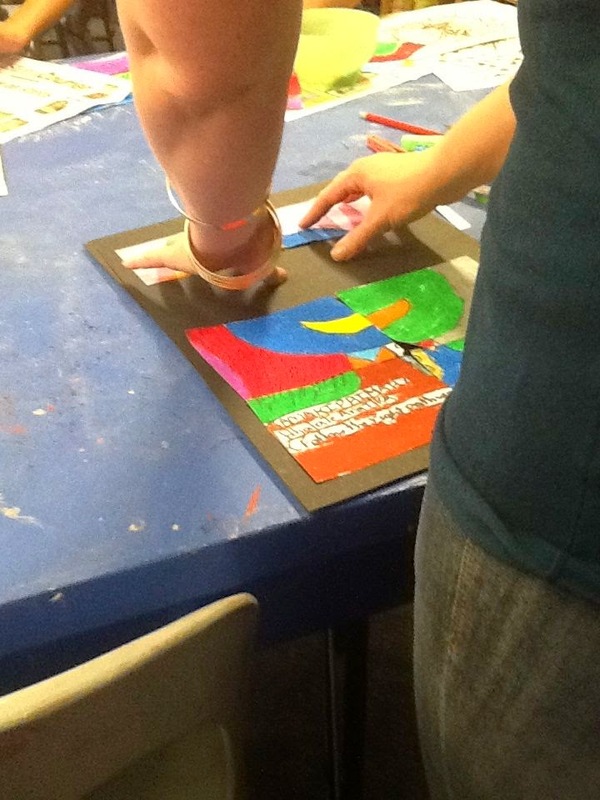 WALT: create a piece of high quality art. 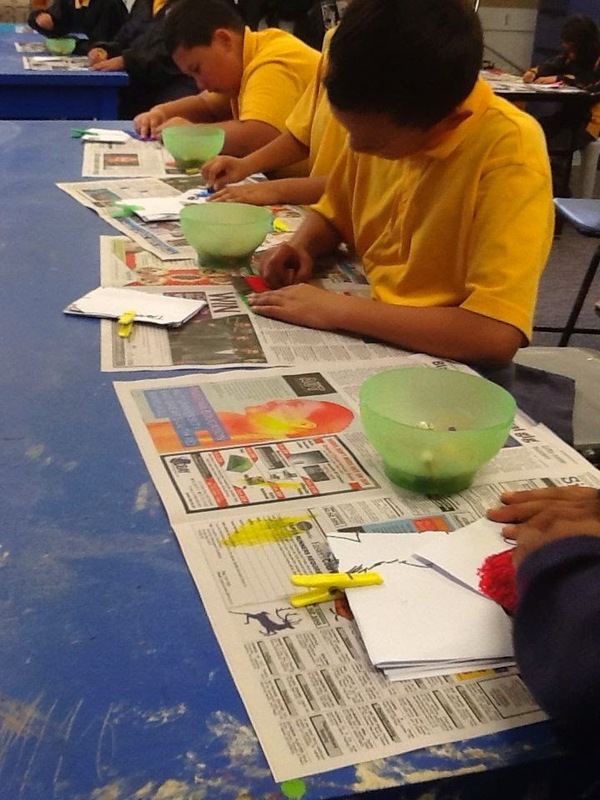 WALT: use the colour wheel to choose colours for effect. 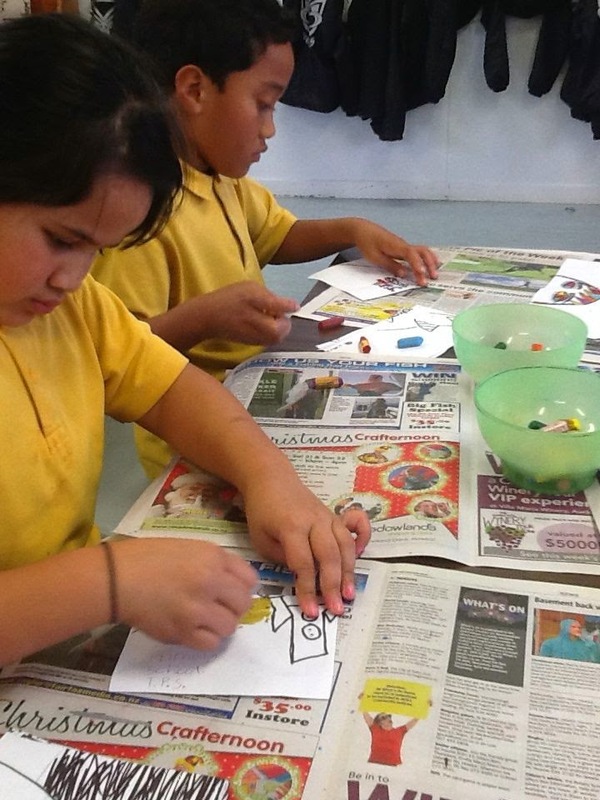 Art Media: Sketching Pencils, Pastels, Vivids. 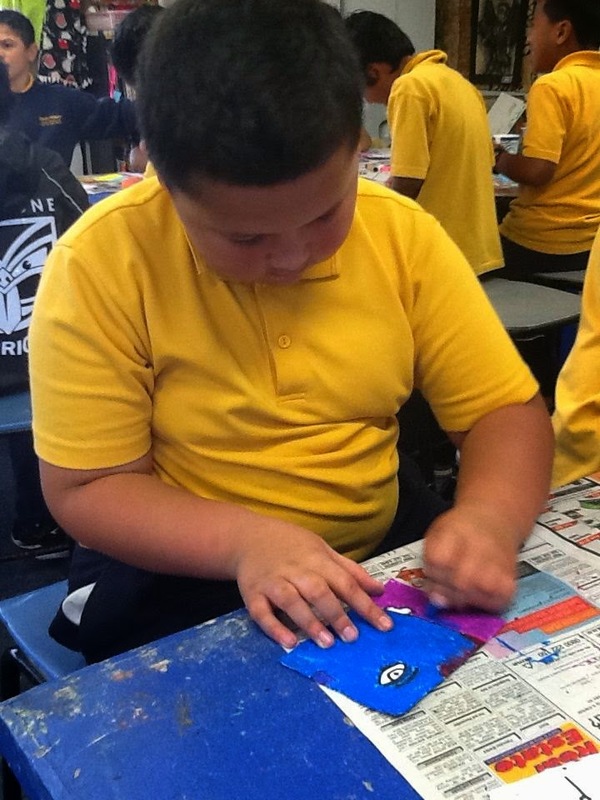 You can now find our art in the school corridor near our music room! 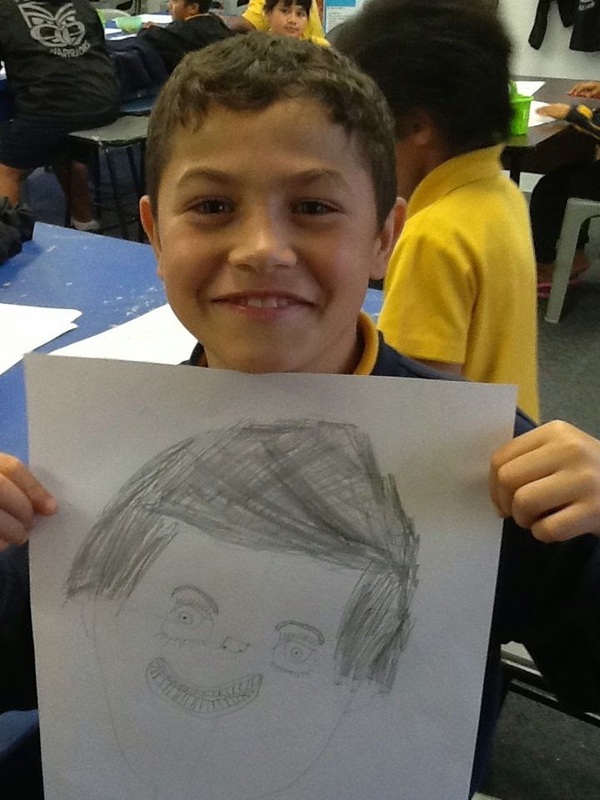 Our favourite part was putting our art together and laughing at the result! 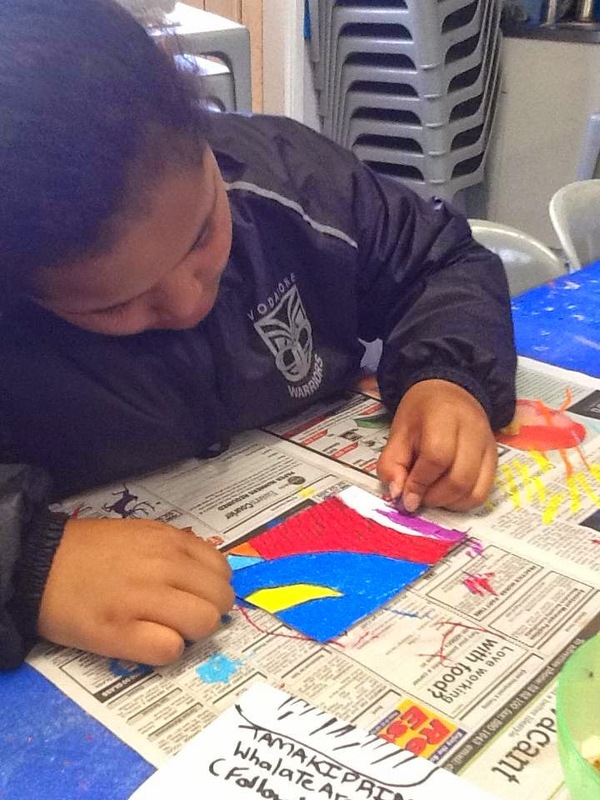 The hardest part was keeping up the quality of our colouring with the pastels. 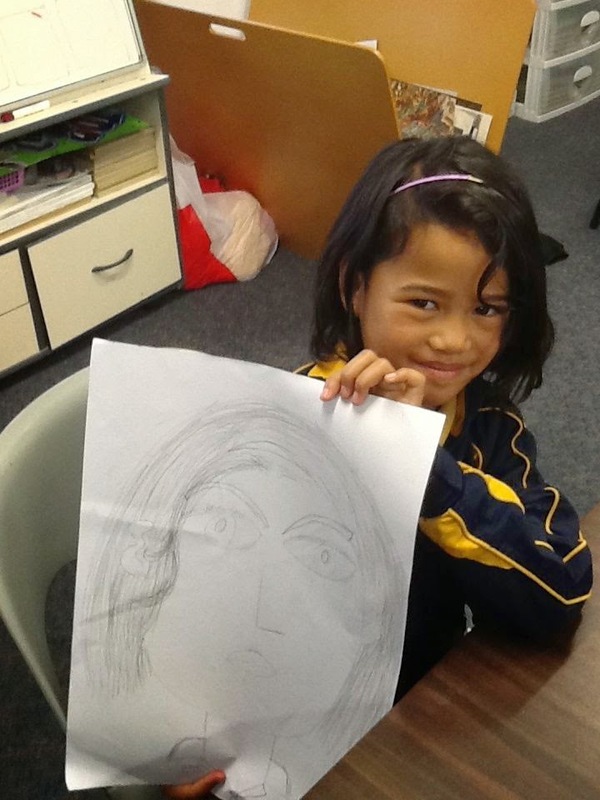 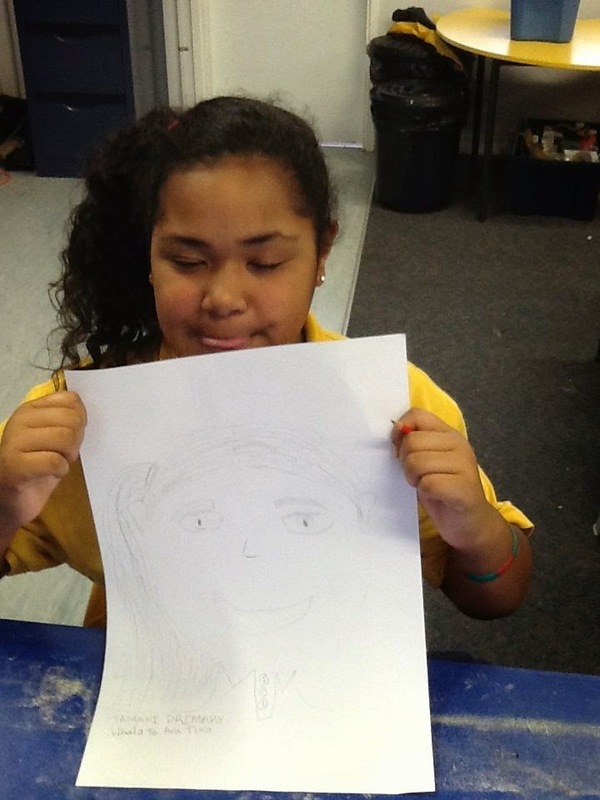 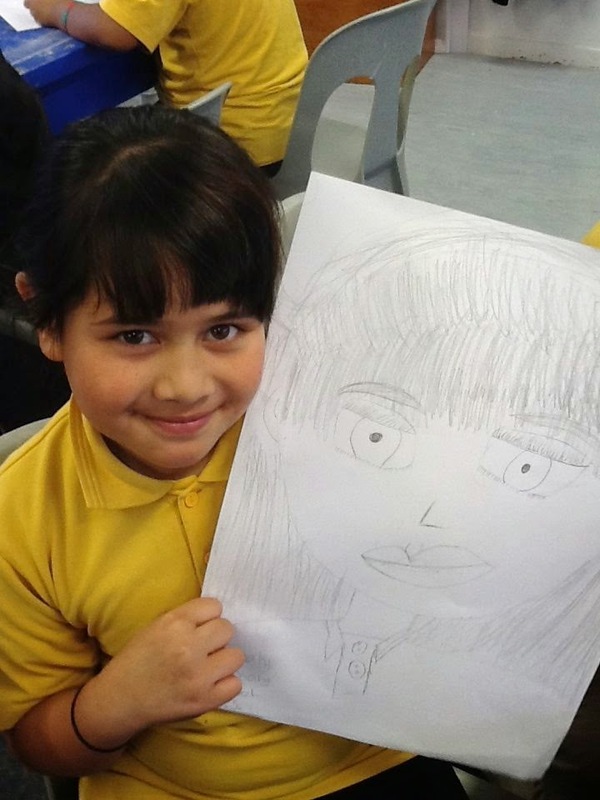 Room 4 - How to make a Picasso Self-Portrait!